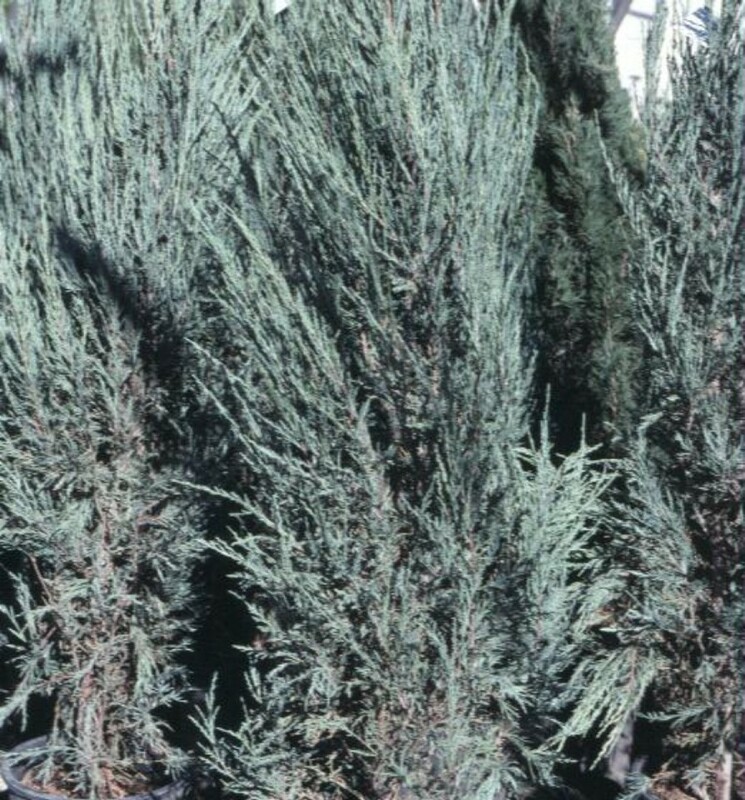 Comments: This stately, columnar plant is the narrowest juniper avialable. It is deer resistant and tolerates droughty soils, only needs an occasional watering after it is established. Birds eat the fruit. Used as a windbreak and as a storng vertical accent in the garden.